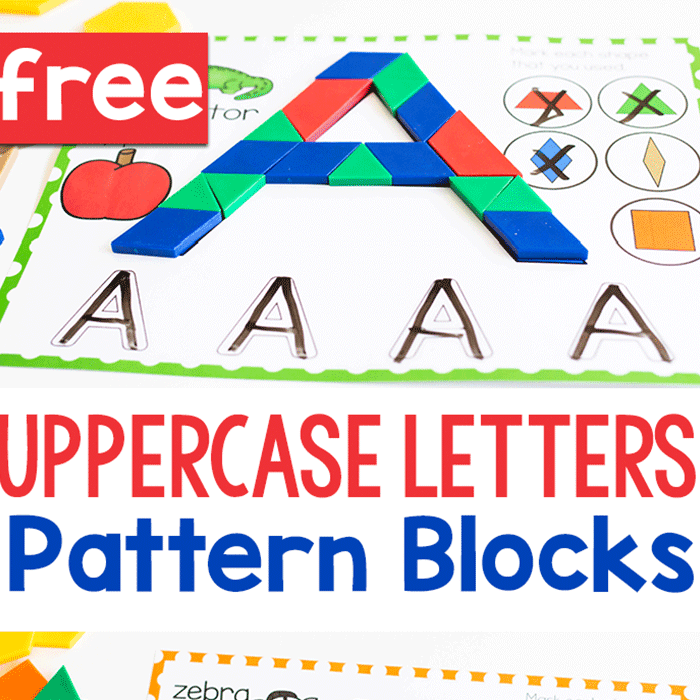 We’re big fans of science experiments and STEM activities. 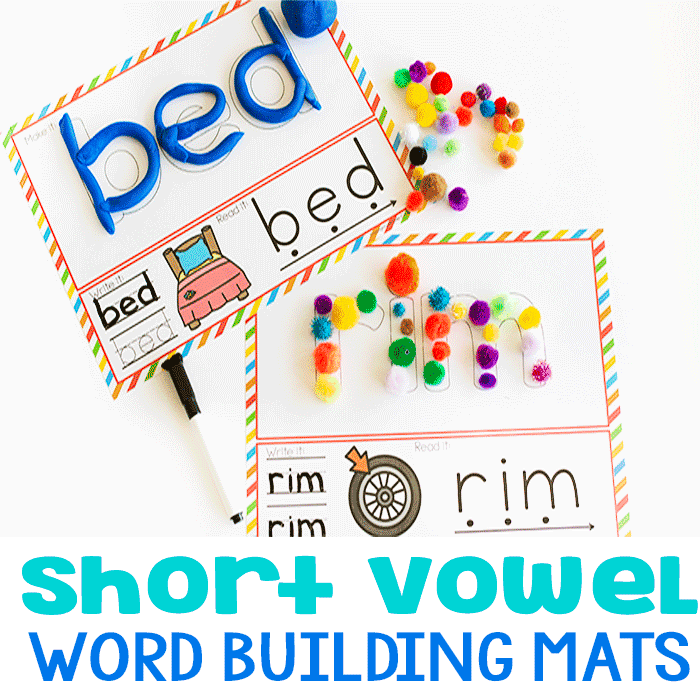 My kids love trying their hand at new experiments and activities to learn new skills. However, sometimes the classic science experiments really are the best. 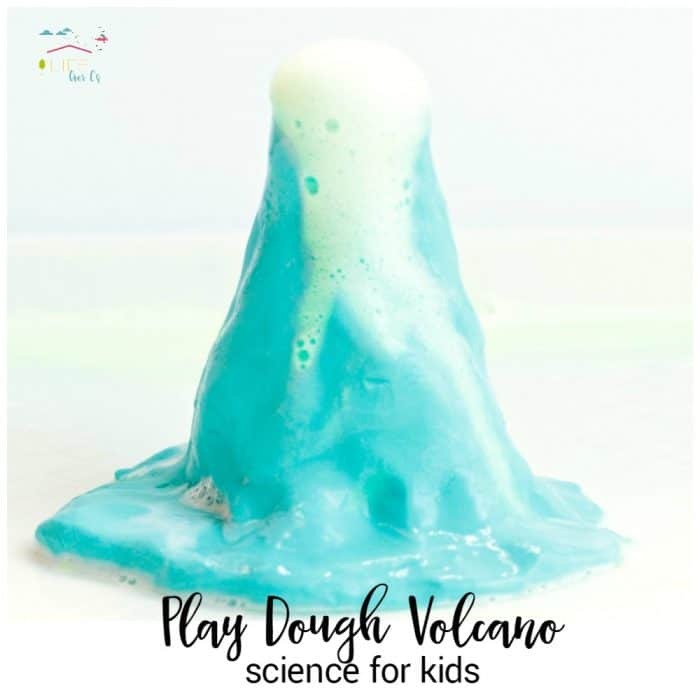 We have made some variation on the classic baking soda and vinegar volcano more times than I can count, but my kids still love trying it over and over. 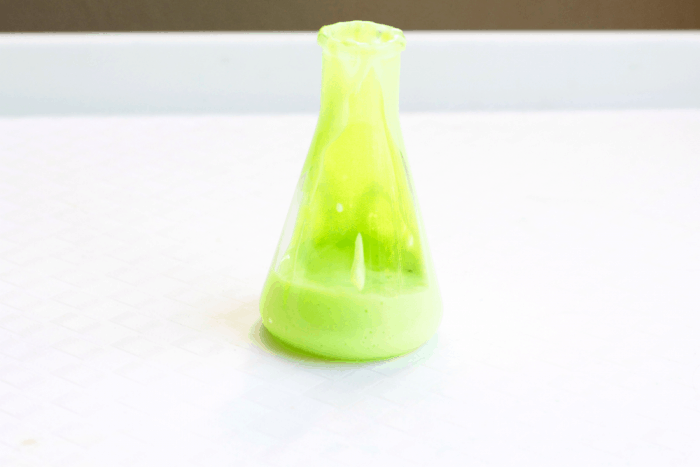 This time, we kept things really simple in our experiment by making a volcano out of play dough and a beaker. The play dough volcano was a hit with both elementary and preschool kids, and even the clean up was easy for this one. If you need a low-mess science experiment, this one definitely fits the bill. 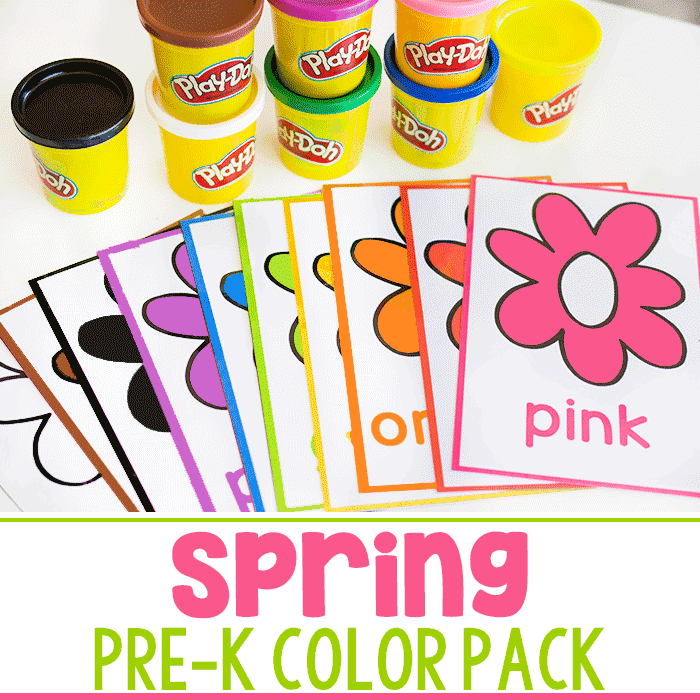 Since this activity makes the play dough wet, it’s best to use play dough that is about to dry out or play dough that is all combined with other colors. 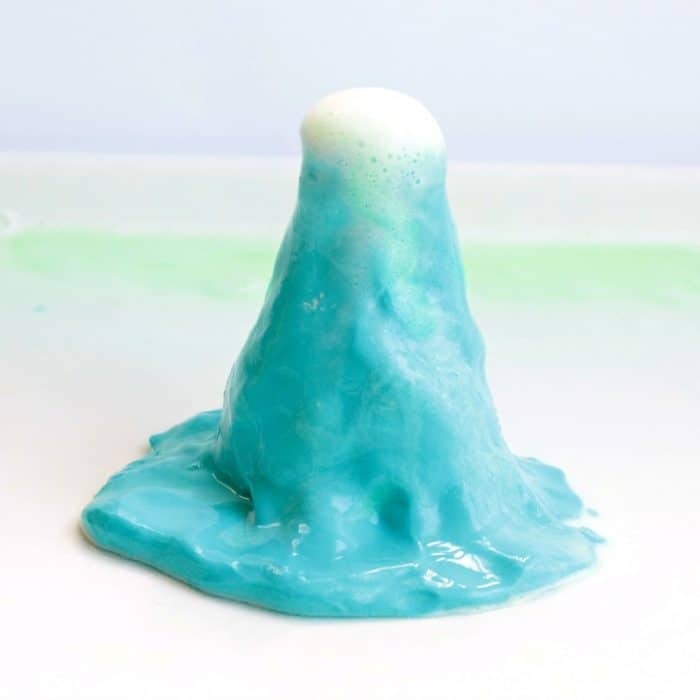 You could also use a homemade play dough to make this volcano. First, mix the inside of the volcano. 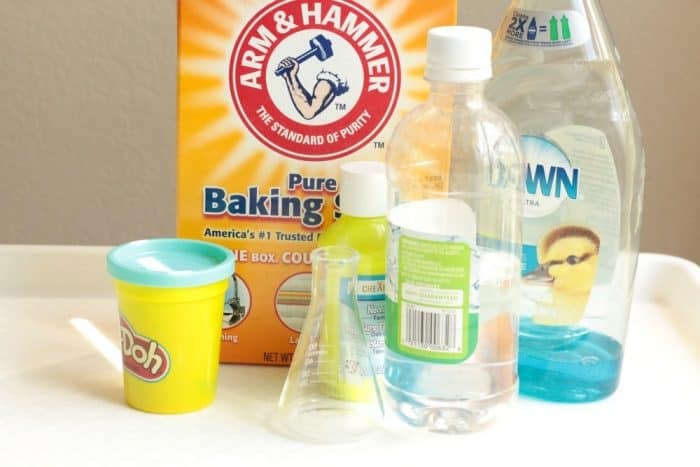 Mix baking soda and paint together along with a small amount of dish soap. This will help the volcano erupt slower, making the project last longer. Add a touch of water if the mixture is too thick. Pour the mixture into the beaker. Place the beaker on your tray. 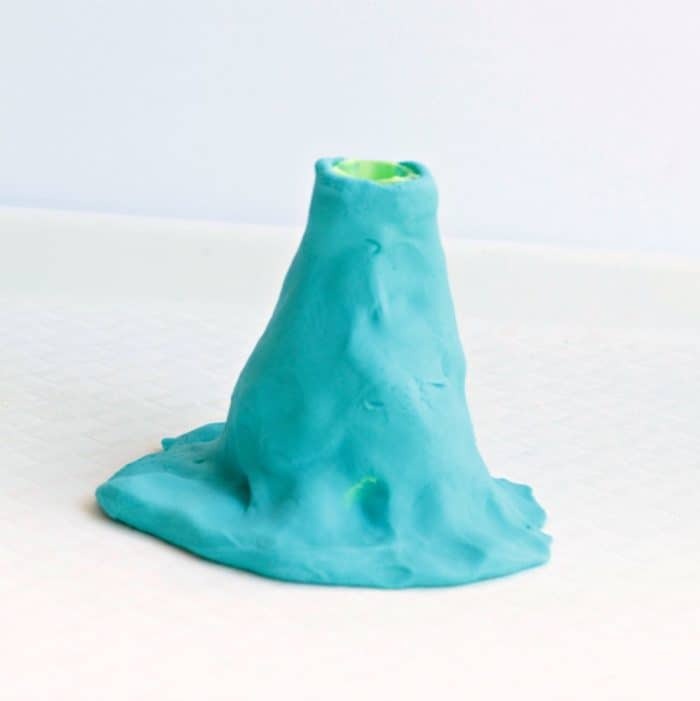 Place the play dough around the volcano to make it look like a mountain. Don’t cover up the opening of the beaker. Pour a small amount of vinegar into the beaker and watch the volcano erupt. Keep adding vinegar a little at a time until the volcano no longer erupts any longer. 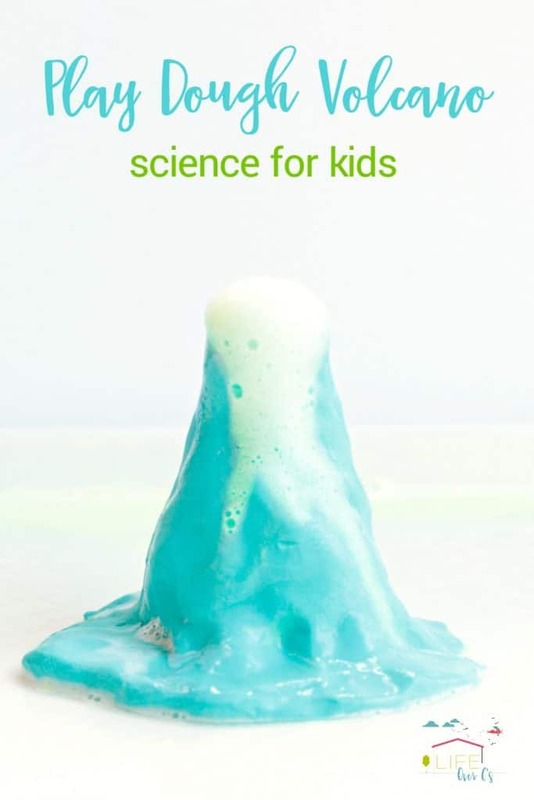 This classic science experiment is always a fun one for kids, and no matter how many times they make it, they still love repeating the experiment over and over. 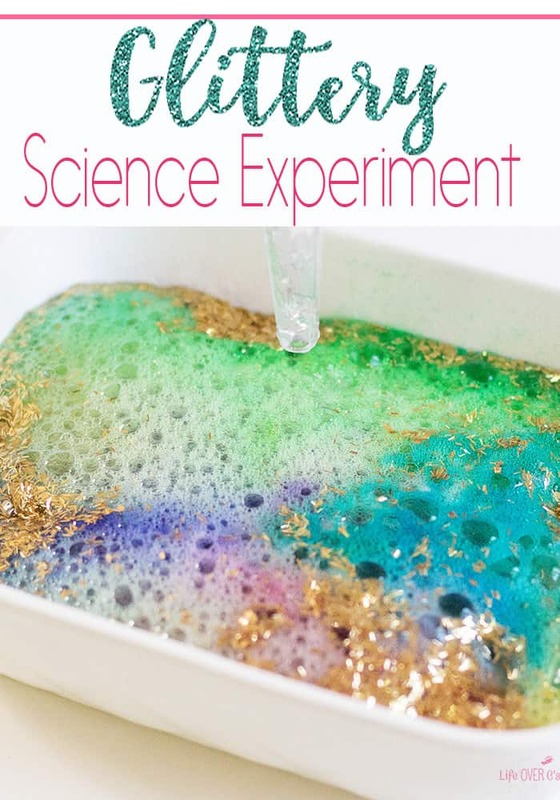 You’ll Love this Glitter Science Experiment Too!